Nat is a big Bob Knight fan. He lives in Ossian with his mom and receives Community Integration & Habilitation (CIH) waiver supports. When Nat was five, back in 1986, Bob Knight, then Indiana University head basketball coach, emceed a benefit dinner for Nat at Norwell High School to help raise money for an electric wheel chair. Coach Knight made a special impact on Nat. He remembers Coach Knight picking him up and telling him that if he got better he “could play for me”. Nat was also Coach Knight’s guest of honor at three Big Ten games during the 1986-87 season, the last time IU won a national championship. 30 years later Coach Knight was in Fort Wayne signing autographs at Playball Inc. and so Nat had a chance to see Coach Knight once again. After waiting over an hour in line, Nat was able to reconnect with Coach Knight. He and his family had the article from the benefit back in 1986 and reintroduced themselves. Coach Knight remembered Nat and signed the article with a comment at the bottom of the picture writing “you could’ve played for me”. Paul and Brenda met each other in the late 1980’s while coming to the BCS workshop. Brenda was part of the SILP (semi-independent living) program, which was a precursor to the Medicaid waivers. 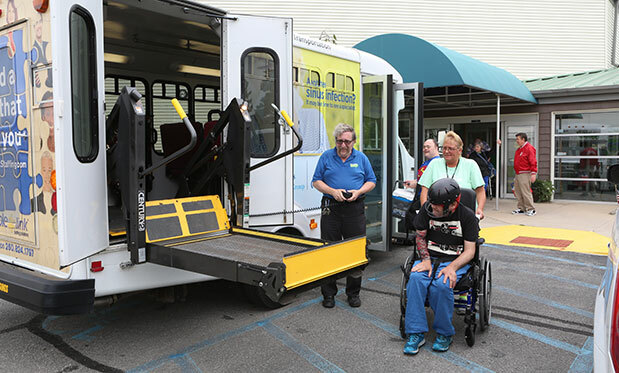 Paul lived at the Market Street residential group home in Bluffton. By the mid 1990’s they were dating and in July 1997 they got married at their church surrounded by friends and family. 20 years later they are living happily ever after in their own home they have purchased in Bluffton. We congratulate them on their 20th wedding anniversary. Consumers who had participated in Self-Advocate groups over the years were frustrated with the fact that there were seldom any outcomes from their meetings. 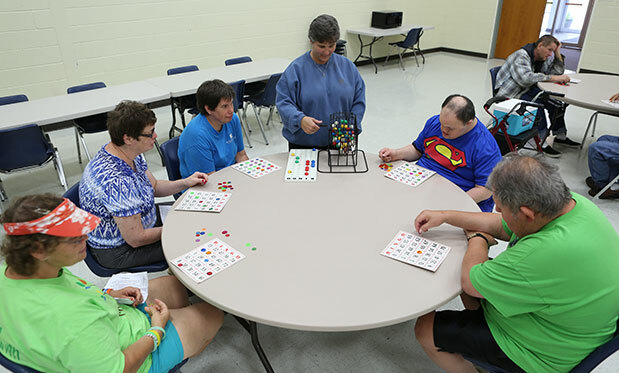 In 2014 these self-advocates met to reorganize the group in such a manner as to self-direct as a group, rather than have officers and an agenda that impeded decision making. This group approached two staff members to assist them with reorganizing and providing transportation. The Self-Advocates of BCS has grown in number and from the start was able to work as a team to achieve the positive outcomes they desired. 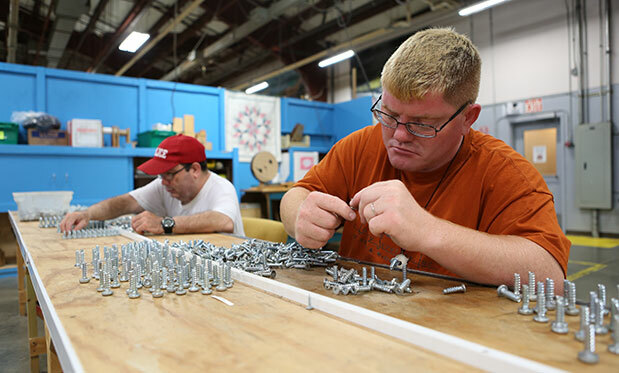 They are active with the Self-Advocates of Indiana and have set goals for the group as well as having a focus on giving back to their communities. 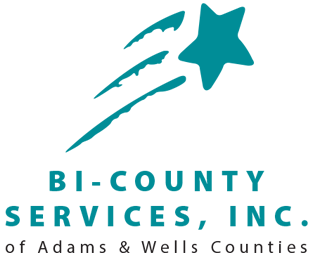 They are active in fund raising for individuals and families in need; planning activities that are fun and community oriented, as well as continuing to advocate on a local and state level for others with disabilities. An anti-bullying campaign is an important issue for them as well. This self-motivated group of people is doing very good things with wonderful results.